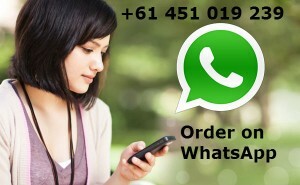 As a true pioneer, MyAssignmentExpert.com was the first website to offer assignment ordering service via WhatsApp. We felt that the traditional system of ordering assignments online (logging on to a website or sending email) is too cumbersome. Students often complained about long delays in getting a response and not getting answers to their specific queries. In response, we thought of introducing WhatsApp support to better assist our customers. When using our WhatsApp service, you don’t have to visit our website or check your email at all. 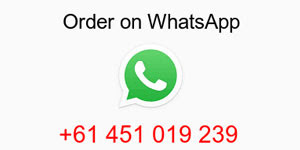 All you need to do is to add us (+61 451 019 239) on WhatsApp, send us your requirements and receive a quote within 1 hour. If you want, you can even receive the completed assignment via WhatsApp. In short, using WhatsApp has completely revolutionised the way students purchase assignments online. All your chat history in one place: Unlike Live Chat or email, you don’t have to worry about keeping a log of all the conversations. WhatsApp stores your chat history (along with any documents shared) in a single thread. It avoids any confusion and offers an extremely easy way of retrieving information whenever you need to check the chat history. Shorter wait times: When using WhatsApp, you do not have to wait for several hours to get a reply. You do not have to stay in the dark about the time it will take to get a response. You can easily check the “Last Seen” status of our WhatsApp operator. Unlike in Live Chat, even if you get disconnected for some reason, we will still have your chat history so that you do not have to send your requirements again. If you are in a hurry, you can even call us up on WhatsApp and get a quicker response. In short, there are shorter wait times and more transparency in communication when you use WhatsApp to order your assignments. No need to visit our website: Yes, you heard it right. Visiting websites or checking emails to place an assignment order is a thing of the past. All you should do is send us your requirement files via WhatsApp and get a quote. You can even pay using a secure third-party gateway like PayPal. In short, there is no browser history or email log that you should worry about. Your privacy is guaranteed when you use WhatsApp to purchase an assignment with MyAssignmentExpert.com. Personalised response: How often does it happen that you wait for hours to get a response from an assignment writing service only to receive a standard email template. This template may not answer your specific queries which may frustrate you as you will have to wait another few hours to get a specific response. However, when you chat with our WhatsApp operator, you will get a personalised response. You can ask any number of questions or even ask for updates and get a guaranteed, specific response in a couple of minutes. It saves your time in sending emails and allows you to focus on other important work. 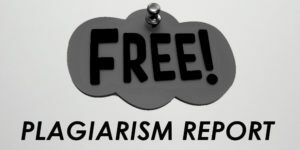 After all, that is why you were looking for an assignment writing service in the first place. Add us on WhatsApp (+61 451 019 239) now and enjoy the hassle-free experience of ordering assignments via WhatsApp.